Melanie Stewart Real Estate - "Isabel" - Flat 7 acres With Home Pool & Studio! "Isabel" - Flat 7 acres With Home Pool & Studio! Set back from the road at the end of a sweeping bitumen driveway is this stunning property on an idyllic 3.05 hectares (7.5 acres). In a location that is fast becoming one of the most sought after and yet still affordable destinations in our region it enjoys an elevated position with views overlooking rolling green countryside. An easily maintained low-set home complete with wrap-around verandahs is complimented by a spacious separate studio with both overlooking the sparkling in-ground swimming pool. Picturesque rural views are the highlight from every room in the double brick home and particularly the air-conditioned main living room. A spacious central kitchen is adjacent to the dining area and overlooks the relaxed second living area with cosy fireplace. Decadent French doors, parquetry flooring, and high ceilings throughout are a delightful indulgence. All bedrooms are of good size, air-conditioned and include ceiling fans and built-in wardrobes, with the master having an ensuite. The predominantly clean and cleared land is ideal for those seeking to create a small hobby farm complete with three established paddocks for horses, or a small number of livestock, and is already fully fenced and has water troughs in place. Vehicles are easily accommodated with multiple shedding and carport options which include plenty of storage room for your outdoor equipment. A total of five water tanks ensure water supply is not an issue. Solar power is in abundance with 90 solar panels (!) ensuring a plentiful supply. An established mature orchard, a large chook house and a gorgeous gazebo all add to the character and charm of the property. This property offers an exciting opportunity to enter the popular small acreage market at a realistic price and capitalise on potential and position. Lifestyle properties like this are scarce, so if you are looking for exceptional real estate and a property that will appeal to everyone in the family this one must be viewed to be appreciated, you will not be compromising on space or size! Thank you Melanie Stewart Real Estate for recent sale of my property, Robyn's work effort was far more than expected, she appears to work 7 days a week & at hours most people are retired for the day, her attitude was positive, enthusiastic and friendly, will miss her cheerful nature & pleasant smile, knew you were the right person for the job when I first met you, who would not want to buy a property from such a vibrant personality, wish you all at Melanie Stewart all the best, bye Allan. We bought a house through Melanie about five years ago in Alstonville. We were impressed with the way she handled the sale, so naturally, when we went to sell our home of 14 years we approached Melanie. Melanie put a marketing package together that we liked, her advice and knowledge of the market in our area was very good. We were impressed that Melanie went out of her way to help us prepare the house for sale. Most importantly, Melanie kept us appraised of all developments at all times. Her communication with us has been excellent. We are very happy with the price achieved and would certainly use Melanie in any future real estate dealings. Moving on from the heritage-listed home where I'd raised my kids felt like selling part of my soul, so how fortunate I was to have Melanie Stewart and her team steering the entire process. Sensitive to the unique appeal of the property and my strong emotional attachment to it, Melanie handled all communications, open houses and the final flurry of activities relating to its timely sale with the utmost respect, professionalism and authenticity. With her sharp business acumen and kind nature, she was an expert negotiator who looked for win-win outcomes for everyone involved ... and there was no shortage of laughter and (helpfully) blunt conversations along the way. When I'm ready to begin the search for my next home, I won't enlist anyone but Melanie Stewart to help me find it. Melanie and her team sold my parents unit the first week it was listed. Great result.Melanie was efficient and I rate her overall performance 'top shelf '. She kept me fully informed at all times. I would certainty use her agency again. I would be happy to recommend Melanie Stewart Real Estate to my friends and colleagues as I found your dedication to detail and advice on the sale of my property to be very helpful. Robyn's photo presentation of the property I'm sure helped in the very fast sale being achieved. Should the opportunity arise I would be more than happy to seek your services again. 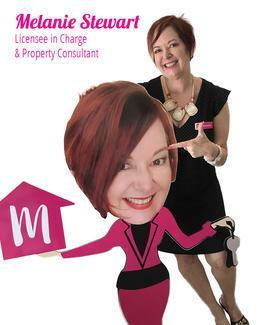 Over the last sixteen years we have had good results for selling and purchasing properties with Melanie. We have found her to have a business-like, efficient and friendly approach to clients. We can recommend Melanie Stewart to anyone wanting to sell or buy real estate. Its all in her Name M E L A N I E M Is for An enquiring MIND With A METICULOUS eye for detail E For the EXUBERANCE and ENTHUSIASM she brings to the process L For her LIKEABLE personality and LOCAL knowledge A She is ALWAYS AVAILABLE and ACTUALLY Cares N NOTHING is ever a problem and NO Fuss attitude I For INCREDIBLE Service and INFECTIOUS Personality E For EXCEEDING all EXPECTATIONS What a wonderful journey she took me through from day one with the naming of our property in Ballina and the Personal service from a lateral thinker... A refreshing change in the world of Real Estate!!!! Keep up the good work and I wish you and your office every success. With the level of service and the way you think I can only see your business going from strength to strength. My wife and I had previously engaged Melanie in our search for a home and our experience was so positive we had no hesitation in calling her again. Melanie and her team have a personal touch that is miles ahead of other agencies. Now that we are moving back to live near family, we asked Melanie to list our dearly loved home, confident she could find a qualified buyer at a good price. Melanie and her staff did not let us down and we received an attractive offer within eleven days of listing. Most importantly though is the way Melanie paid attention to even the small details and regularly communicated with us along the way. A true professional! We were very pleased with the service provided by Melanie Stewart Real Estate. As inexperienced vendors we found the professional approach of staff to be helpful, reassuring and enjoyable. We were very happy with the excellent presentation in the print media and internet. We appreciated the regular communication and feedback about presentation, interest etc. We were impressed with Melanie's negotiating skills in obtaining a final figure which was acceptable to both parties. In particular we were very impressed by the quick sale and reasonable fees. All in all a pleasant and stressless experience. We are so happy and grateful to the team at Melanie Stewart Real Estate. Their professional advice, friendly and positive attitudes and persistence achieved the result we wanted. Always available and easy and friendly to deal with. Thanks Mel, Robyn and team. Melanie provided us with a friendly and helpful service in selling our property. She was prompt in getting it listed and gave us good advice on presentation as well as adding a few finishing touches herself. The commission rate was reasonable and there were no extra charges for advertising. I would recommend her to anyone wishing to sell a property. Melanie thank you, it has been a delight to have you as our Real Estate agent. I write to thank you for the very professional service received during the recent sale of my mother's home. During the process you went beyond what I would expect and you and the fellow members of your team have been a delight to deal with. Your advice has been absolutely honest and of great value to us through the negotiations. You have always looked after my interest as a first priority, sadly an attitude not always exhibited with some others in the industry. Melanie, your company is a formidable team. You are always very professional not only in advice and business dealings but also with excellent personal presentation necessary for marketing our property. Your advice encompassed the full range of marketing issues from the best and most economical methods of advertising produced a great result for us. I have no hesitation recommending Melanie Stewart Real Estate in the future. After many months of frustration with my home for sale, and nothing remotely coming near to an offer - a friend told me I should give Melanie Stewart a call - I let some time pass as one often does - then I phoned her office. Melanie and her associate Robyn Hunt came to my house - instantly there was a feeling of trust, warmth and integrity to assist not only "me" the seller - but the sale to the right person of my loved home - a visit to her office also gave that warm and friendly feeling - I was happy - what can I say - that within a month an offer came along - my home sold to the perfect people - sold by the Real Estate office of Melanie Stewart - If I can say "the perfect sales team"
We used Melanie Stewart when we were selling our house in November 2015 at Richmond Hill. Melanie was fantastic and managed to sell our house in LESS THAN 2 WEEKS! One of the things that sets Melanie apart is that she uses a professional photographer to take the photos and this is very obvious when you compare other agent's photos on the internet and in the newspaper. We liked the fact Melanie was very professional, always followed up any queries and was always available to speak to. Melanie gave a very realistic and detailed valuation and I think this played a large part in our house selling so quickly We would and do highly recommend Melanie to everyone we speak to, who is looking to list their property for sale. We would definitely use this agency again. Very happy clients. I have greatly appreciated your excellent commitment to finding appropriate buyers and selling my property in Alstonville within such a short period of time. Your suggested market value, though a little less than what I had thought was the price that buyers were willing to pay at this time. Though I was under a time limit to clean out and pack up to move, you and your lovely team were very helpful with advice on not stressing about the chaos I had created. I really appreciated that a the time. Thank you for your help in every way with selling my house. Six years ago we dealt with Melanie to sell our Gap Road Alstonville property. Since then we have asked to seek a house closer to town. We were very pleased with Melanie when we put our Willowbank Drive house up for sale. First open house 18th July, after several more open house days Melanie found a buyer. Thanks very much Mel for your professional approach. We also were sold a house in Whipps Avenue which we are most happy with. Melanie knows how to deal with anxious clients, putting all at ease where possible. We would recommend Melanie Stewart Real Estate to anyone. Melanie is absolutely awesome. I could not think of a better person to deal with when buying or selling a property. I have purchased from her and most recently she sold my property in Alstonville. I have found Mel to be honest and engaging in my dealings with her. She is really responsive and works very hard for her clients. For me trust is really important in this kind of relationship and Mel is always trustworthy. She speaks the truth and doesn't just tell you what you want to hear. I cannot recommend her highly enough. On the recommendation from a friend I engaged Melanie Stewart to sell my property which was located in Lismore. I must admit that, at the time, I did have some reservations about engaging a real estate agent based in Alstonville when my property was located in central Lismore. I found that Melanie and her staff provided a professional and friendly service and most importantly kept me informed about what was happening at all times during the sale process. I felt that Melanie was in control at all times and provided wise advice in the physical and tactical preparation of my property for sale. The property was sold promptly and very close to the asking price...and Melanie's business being based in Alstonville was not an impediment at all to the selling of my home. Great job Melanie! Nothing was too much trouble for you in the professional way you handled the sale of our house. You were up front with us all the way and got the best outcome for our property. Best of all easily contactable and quickly addressed our concerns. Thanks for all your effort. It is my pleasure to recommend Melanie Stewart as your chosen estate agent. I think she has exercised her skills above and beyond the normal agent. Her relaxed homely attitude suits us well in this semi rural atmosphere. She told me not to worry about anything as she had it all in hand. Melanie guided me through with my Solicitor Fiona Lomax and Debbie, another pair of ladies who have done an excellent job. All the way through to settlement and placement into my new home, reminding me as to what's next. This is a big help to someone on their own. I wish you Melanie and your staff all the best for the future and will surely be in touch. Thank you Mel for all your diligence and effort re. the successful sale of my house. I have always enjoyed dealing with you and would have no hesitation in recommending your services to any prospective buyer or seller. I certainly will be contacting you when I am ready to purchase my next home. I find your attention to detail, friendly manner, support and overall professionalism give you a definite edge on most other real estate agents in Alstonville. Firstly, thank you for the sale of our home. In our view the openness, honesty and straight to the point attitude gives one the sense of being represented by a responsible party, and with this concept one feels and senses a definite good outcome. Reliability along with determination is a definite equation of success. With all of the above in mind we would recommend Melanie to represent others for the sale of their properties, and should the opportunity arise, we would ask for this agency to represent us for another sale. Melanie Stewart successfully sold our property quickly and professionally. We greatly appreciated Melanie's honest and straight forward communication with us. She kept us informed at all times as to what was happening with the sale and was always encouraging and positive. Melanie genuinely worked to get the best outcome for us. Thanks Mel. Both Greta and myself are more than happy with the way you have gone about doing business with us. The photos you provided for the sale were very good. We both would recommend you to anyone as you were to us. We listed our property with Melanie Stewart Real Estate based on recommendations from other sellers in our estate. The process from listing our property to its final sale was quick and seamless. Melanie works in an ethical and professional manner and has good negotiation skills. Couldn't be happier with Mel's efforts to sell our home. We listed in October 2014 and 3 months 2 days later we sold. Her advice re presentation was invaluable. Thanks Mel and team. Would recommend her to others and would use her services again. Great job Melanie! Sold in less than 2 weeks. We liked those little touches that you made such as putting flowers in the vase and re-arranging ornaments. Little extras can make a big difference. Many thanks. Mel is an awesome agent who has your best interests at heart. She works hard to achieve the best possible outcome with the sale (or purchase) of your property. Mel is friendly, approachable and very professional. She is always quick to return phone calls and emails. I would definitely recommend Melanie Stewart Real Estate to everyone. I will use her services again in the future - no question. Melanie Stewart was chosen to handle our sale at Lindendale due to her previous success in the area. Her positive and friendly style of dealing with us and potential purchasers is greatly appreciated. The marketing strategy both in the print media and internet gave our property maximum exposure to induce attendance at the various "open house" sessions. Once our sale had been agreed to, Melanie maintained a constant watching brief to ensure any queries during the formal documentation stage were resolved to our satisfaction. Given our relocation to a retirement village it is unlikely we will need Melanie's services again but we have no hesitation in saying we are happy to recommend her to other people seeking to sell their property. I recently sold my property in Alstonville and Melanie pulled the deal together. Mel's attention to detail at open houses is second to none with moving this and putting a flower on that. She makes you feel like you are the only vendor that she is dealing with as she always takes your call or gets back to you quickly, rather than a day or so later. She is both patient and tenacious in bringing a deal together and seems to know how far a buyer can stretch themselves. Having only started up her business in the last year, Mel has certainly made a mark on Alstonville and the sold signs are popping up all over town. Melanie has served us well in finding our unit at Alstonville and carrying through its sale to us. She kept us informed all through the process and her attention to detail in all aspects of her work were most impressive. Friendly, courteous and prompt, her professionalism showed and I would have no hesitation in recommending her. In all our dealings with various real estate agents we found Melanie to be the most reliable. She dealt with our requirements in a helpful way which resulted in our business being satisfactorily concluded. I would certainly recommend anyone to use Melanie's services. She would be our first choice, should ever the need arise again. I want to thank and commend you for your exemplary service in the sale of my mother's home. We sought appraisals from several agents and yours came in at a price almost 20% higher than your competitors. To be honest, we had some reservations, as some agents quote unrealistically high to get business. But your warm, sincere manner and very fair terms gave us confidence to proceed with a listing, and I am so pleased we did. The sale was dizzyingly fast, and at precisely the price you led us to expect, despite your competitors claiming it was absurdly ambitious. My mother was very worried about having people come through her home, but she said you made the whole experience pleasant. From start to (almost) finish, everything was handled in an impressively friendly, efficient manner. We are looking forward, now, to completion on Tuesday and I know everything will proceed as planned. I'd like to tell the world exactly what that extra 20% meant to us, but it would take a volume to explain. Suffice to say it made the difference between my aged mother spending her last days in a shared room with shared facilities in a lesser quality facility, and having comfortable, private accommodation in a top quality aged care home just 4km from where we live. We owe you a huge debt of thanks. And today you presented me with a gift to pass on to my mother, when it should have been us buying you a thank you gift. There are no words to express our appreciation. I wish you every success in your future business. You deserve to prosper. To anyone seeking an agent to assist with a sale in the Alstonville district, I strongly recommend you look no further than Melanie Stewart Real Estate. She is quite simply, without equal. Thanks again Melanie. Melanie works her own business and is a good people person. Dealing with Melanie was very easy because she was seeing the same value in my property as I was. I would recommend Melanie to a lot of other people I would use Melanie for selling my properties and buying if she has the right property on her marketing lists. Just wanted to say thank you for all you have done for me. It's not easy being a home buyer, not knowing what to do, or what's good and what's bad, not knowing the process, what was expected of me next. You made it easy for me. Thank you for making the transition from purchaser to landlord seamless, by organising inspections, cleaners and handyman services. I can't thank you enough for all you have done for me. Melanie has just sold my property and I am absolutely thrilled with the results. Melanie makes the process of selling (which can be quite daunting) a very easy experience. She works with her clients thoroughly from start to finish and is there every step of the way to answer any question, large or small. She goes out of her way to deliver the absolute best outcome for her clients. She is honest and trustworthy, which are attributes I greatly admire. My property sold within two weeks to genuine, qualified buyers. I would have no hesitation in recommending Melanie Stewart Real Estate to other potential sellers, buyers/clients. We were very happy with the professional service that we received from Melanie and would be happy to recommend her to others. We found Melanie to be both knowledgeable and insightful regarding the local real estate market, and enjoyed our dealings with both her and her staff. Melanie is a vibrant personality and dealt with the sale of my property with utmost professionalism. She made me feel at ease that she would work with me in the sale and kept me informed of all developments both verbally and written. I would highly recommend her for any sale as she is personable and easy to work with whilst maintaining her professionalism. 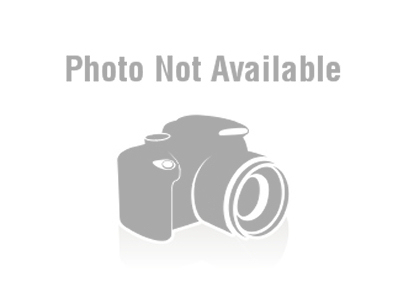 I found Melanie to be pleasant, professional, positive and proactive at all times. Melanie communicated with me throughout the process of my sale and kept me informed of any new developments as they arose. Melanie stayed calm and focused even when things got a bit bumpy with a difficult purchaser. I would recommend Melanie Stewart Real Estate to anyone in the Northern Rivers area. I have already recommended her to friends who are selling. Thank you Melanie. I entrusted the sale of my property to Melanie Stewart and I couldn't have placed it in better hands. The property was sold much more quickly than I anticipated. Melanie was professional and tireless in her efforts on my behalf and kept me informed every step of the way. I wouldn't hesitate to use Melanie's services again or to recommend her to others. Our dealings with Melanie was a great experience, she is a very pleasant lady and the marketing of our house was very professional. We were informed and kept up to date at all times. We would be more than happy to recommend Melanie Stewart Real Estate to anyone requiring her services. Thanks again Melanie. Dealing with Melanie was fantastic and so easy. Melanie has some fantastic ideas and the way that she goes about things is easy for us as a vendor. Contacting Melanie was always easy, she also went above and beyond with dealing with the solicitors. We would definitely recommend Melanie to anyone who is thinking of selling, which we already have done. We would definitely use Melanie Stewart Real Estate again without a doubt. We appreciate absolutely everything that was done in getting our property sold. I have lived in the Northern Rivers for 24 years. Since 2002, I have bought and sold 4 properties. During an open house I met Melanie Stewart. She was a very obliging and friendly person, easy to deal with and a great communicator. I purchased the property! Since then, I have bought and sold three other properties engaging the services of Melanie. She is the most ethical Real Estate agent I have ever dealt with and maintains high integrity throughout the entire sales/purchasing process. It gives me great pleasure to write this testimonial attesting to the quality service I have received from Melanie over the 12 years I have known her. Dear Melanie, "thank you" so very, very much for all the hard work you put into selling our house for us. Your professionalism is much appreciated. Dear Mel Thank you so much for being our agent - for your advice, your patience and for selling our house! From the moment we signed with you we couldn't have been happier that we chose to go with you. Hi Melanie, thank you, I do thank you for the almost two years of our association in the professional way you handled my project. It has allowed me to have the opportunity to fulfil my plans to secure our home and to invest in retirement that will give me the wherewithal to enjoy some travel and trips to faraway places. It is in many ways for me the end of an era, starting in 1981, when my parents moved in from Woolgoolga, though the years my children enjoyed their grandparents, of helping dad with renovations, the sanctuary in times of marital stress to the rent of the house to give mum quality time in her later years. That now flows on to my blended family. It says a lot for the value of tradition. Dear Melanie, we thank you sincerely for the exceptional services you provided for us when we were selling our house and buying another home. You gave great advice about "de-cluttering" which we are sure helped to secure a quick sale at the price we wanted. Your frequent contacting was helpful and never intrusive. The wording in your advertisements was positive and mentioned all of the desirable attributes of the property. When you arranged an informal meeting between buyers and sellers it made clear communicating please and comprehensive. Small details were able to be checked and areas measured for furniture placement. We would have no hesitation in recommending you as an agent for any clients interested in buying or selling houses or property. For efficiency, unfailing courtesy, eagerness to please and the wisdom of experience, we offer our gratitude.